The average retailer is shy about investing in technology and training for its frontline workforce. Beyond the obvious implications this has on customer experience, the cost, productivity and conversion improvements that an enabled frontline offers should be equally as hard for retailers to ignore. Why We Conducted This Research. The rapid march in technology combined with a natural generational shift has resulted in a retail workforce that is highly adept technologically. Generations X (18%), Y (40%) and Z (21%) make up 79% of the retail workforce. While individual characteristics vary, these generations are highly technologically adept. Gen Y and Z specifically drive the adoption of consumer technology products and services, and expect a similar cutting edge experience from enterprise technology. Technology is an important factor for 82% of workers below 34 years of age in determining whether or not they want the job. As retailers compete with newer digital upstarts for the same talent, the technology experience they offer employees becomes ever more important. However, retailers struggle with high turnover, and are unable to engage and enable their frontline workforce to deliver on the promise of a great customer experience. The average turnover for part-time retail workers is 67%. 85% of the workforce is “not engaged” or “actively disengaged” at work. 77% of store associates are unable to fulfill in-store orders that are out-of-stock. A great customer experience enhanced by the right culture, technology and training for the frontline workforce has been shown to have a significant business impact. From 1997 to 2014, companies considered employee experience leaders outperformed the broader stock market, generating an annualized return nearly double the SAP 500 index. Those in the top quartile of engagement realize 10% higher customer metrics, 17% higher productivity, 20% higher sales and 21% higher profitabilit. What We Hoped to Learn. What is the level of maturity of retail organizations in enabling a modern retail workforce globally? What are the primary drivers of investments in modernizing the retail workforce? What’s holding retailers back from more aggressively investing in modernizing the retail workforce? What is the business case for investing in modernizing the retail workforce? What can retailers learn from their peers who have set the benchmark for employee empowerment and experience? A ROBUST SURVEY OF QUALIFIED RETAIL EXECUTIVES IN USA AND EUROPE. 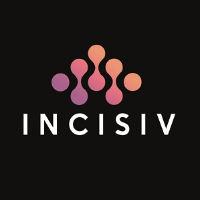 Incisiv conducted a quantitative and qualitative survey of 123 retail executives in the United States, United Kingdom, France and Germany.